Larry's calming presence begins a path to relaxation. His touch creates wonderfully comforting feelings that inspire the body to let go of holding patterns. Healing happens when the body is relaxed. Additionally, Larry’s skill in moving the flow of life energy gives clients a dimension of wholeness that connect muscles, fascia and the mind. His clients gain peacefulness, fluidity in the body and lightness in mood. His clientele appreciate deeply felt mindful bodywork. They become aware of mental, emotional and physical changes. Internal organs thrive with more space and connectivity. The body is reminded that its unique parts work together for greater health. Larry is also passionate about his own health setting the best example possible for living better. He grew up in suburban Cleveland, Ohio then after gaining a degree in Business Administration at The University of Akron he worked in sales for 9 years. 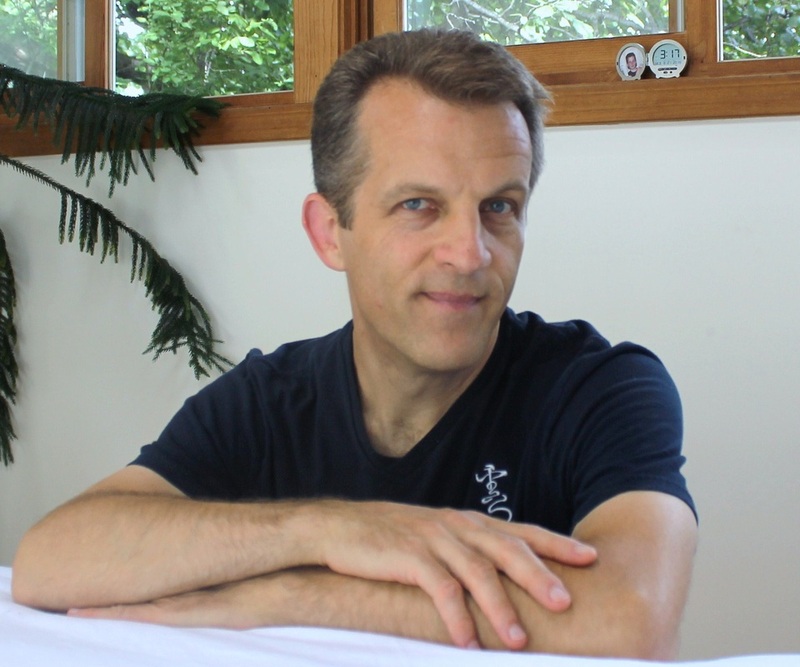 Larry attended the Chicago School of Massage Therapy in 1995-1996 and began the Trager program in 2008. He currently lives in Evanston with a wife and two children.